Obama came to power in 2009 after a campaign replete with pledges to return the US to being a nation that respected the civil liberties of its citizens and the human rights of its enemies. 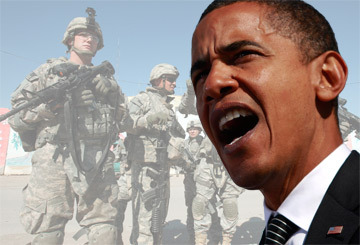 Those who assessed Obama’s rhetoric as simply vacuous politicking have since been vindicated. Obama has dramatically expanded the Bush-era surveillance state (discussed in Prism, Tempora and the Case of Edward Snowden), aggressively defended government secrecy and prosecuted the War on Terror with elevated levels of ruthlessness. The expansion of the state intelligence apparatus in the United States began rapidly after the attack on September 11 in 2001. The USA PATRIOT Act 2001 gave the President of the United States unprecedented power to impinge on the rights of both foreign and US citizens. Among many other draconian measures, the decision to use torture, referred to euphemistically by the Bush administration as “enhanced interrogation techniques”, was justified under the Patriot Act. In 2005 the New York Times published a series of stories detailing extensive surveillance of people within the US by the National Security Agency (NSA) that lacked Foreign Intelligence and Surveillance Act (FISA) court warrants. in 2007, under pressure from Congress, the public and the media, Bush returned the programme to the scrutiny of the FISA court, although in August of that year the Protect America Act (PAA) was passed which amended FISA removing warrant requirements for foreign targets “reasonably believed” to be outside the US. These amendments were reaffirmed the following year. The amendment act’s also immunised private organisations from prosecution for cooperating with the US government’s surveillance programs. The amendments to FISA opened the door for a next generation surveillance program – PRISM. The extent of the program was revealed last month by The Guardian who received extensive classified documentation from former NSA contractor Edward Snowden. 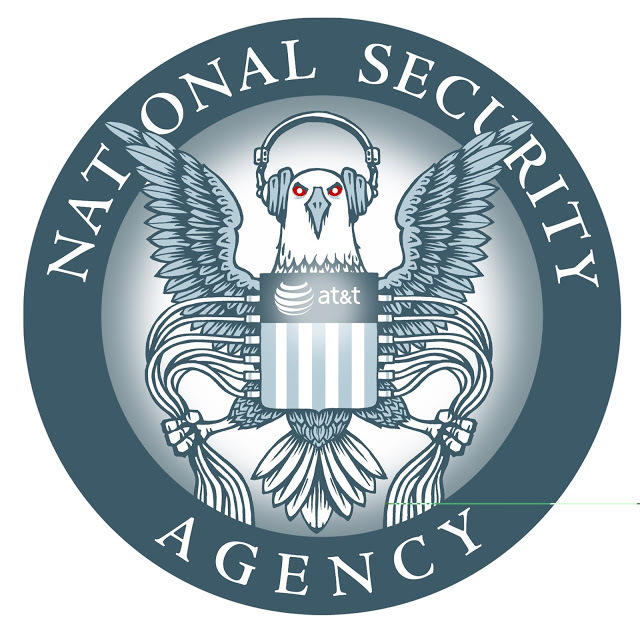 The disclosures show that the NSA can unilaterally undertake “extensive, in-depth surveillance on live communications and stored information” including email, video and voice chat, videos, photos, voice-over-IP chats (such as Skype), file transfers, and social networking details. According to The Washington Post, NSA analysts search PRISM data using terms intended to identify suspicious communications by targets whom the analysts are at least 51% sure are not U.S. citizens. Such a low level of surety means that “unintentional” surveillance of US citizens has been extensive. In an interview Snowden summarized the scope of the disclosures, reporting that “in general, the reality is this: if an NSA, FBI, CIA, DIA, etc analyst has access to query raw SIGINT [signals intelligence] databases, they can enter and get results for anything they want.” Alongside PRISM is BLARNEY, a programme which gathers much of the metadata of internet streams for analysis. Metadata includes information about the time, author and IP address of created data. [T]he NCTC [National Counterterrorism Center] operates a gigantic data-mining operation, in which all sorts of information about innocent Americans is systematically monitored, stored, and analyzed….It is simultaneously a surveillance state and a secretive, unaccountable judicial body that analyzes who you are and then decrees what should be done with you, how you should be ‘disposed’ of, beyond the reach of any minimal accountability or transparency. After his election in 2009, Obama issued executive orders requiring an immediate review of every Guantanamo Bay prisoner’s case. He also declared that the camp would be closed within one year. Defense Secretary Robert Gates followed suit a short time later with a formal directive barring new military commission proceedings against all but a half-dozen of Guantanamo’s prisoners. However in May 2011 that ban was lifted, paving the way for military prosecutors to proceed with cases against dozens of other Guantanamo detainees. Obama’s failure has been made all the more conspicuous in recent months with 102 of the 166 inmates on hunger strike in protest at their continuing detention without trial. Of those 102 prisoners, 45 have been subject to forced feeding, a practice described by the UN Human Rights Commission as tantamount to torture. As many lawyers have argued, the reason the Obama administration has refused to try prisoners in a civilian court is that many of the cases are too weak to meet the minimum burden of proof required for a conviction. The ‘material support law’ – which is aimed at putting an end to terrorism – actually threatens our work and the work of many other peacemaking organizations that must interact directly with groups that have engaged in violence. The vague language of the law leaves us wondering if we will be prosecuted for our work to promote peace and freedom. A related piece of legislation, the 2012 National Defence Authorisation Act (NDAA), which authorises the indefinite detention of a person who is a “part of or substantially supported al-Qaeda, the Taliban, or associated forces that are engaged in hostilities against the United States or its coalition partners”, is currently being challenged in the Supreme Court by a group including former New York Times Reporter Chris Hedges. The plaintiffs in Hedges v. Obama argue that the ambiguous wording is such that journalists or activists who interview members of “al-Qaeda, the Taliban, or associated groups” could be covered under the NDAA and be held indefinitely. Furthermore they argue that the fear of being held subject to the NDAA is acting as an effective restriction on freedom of speech. These cases are representative of a general trend, initiated by Bush and dramatically escalated by Obama, of attacking civil liberties alongside fiercely guarding government secrecy. Obama has prosecuted twice the number of whistle-blowers under the 1917 Espionage Act than all previous administrations (including Bush’s) combined. As if that were not enough, Obama has aggressively targeted a number of journalists responsible for publishing leaks. In 2011 New York Times journalist James Risen was subpoenaed by the Obama administration to testify for the prosecution in the case of CIA whistle-blower Jeffrey Sterling whom the Department of Justice (DoJ) accused of leaking (to Risen) details of a severely botched CIA infiltration of Iran’s nuclear program, a story which Risen wrote about six years ex post facto. While the original subpoena was issued by Bush, it was later abandoned. The reissuing of the subpoena was a “rare step” according to the New York Times. The DoJ is essentially trying to force Risen to testify that Sterling was his source, in clear violation of reporter’s privilege. In May Associated Press (AP) reported that the DoJ had seized telephone records for 20 of their reporters during a two-month period in 2012. The seizure related to a criminal investigation into a story published by AP in May 2012. The AP chose to sit on a story about a foiled Yemen-based terrorist plot for 5 days due to national security concerns expressed by the Obama administration. In the end they decided to publish the day before Obama was set to announce the success of the operation. Although this was a relatively minor act of disobedience, which did little more than deny Obama the exclusive attention of the media, the administration thought itself justified to carry out a vicious attack on the rights of journalists. In perhaps the most ominous (and unprecedented) step the Obama administration has also been trying to prosecute journalists for working with sources to obtain classified information –something that investigative journalists do routinely. In May The Washington Post reported that Fox News reporter James Rosen had his phone and emails monitored by the DoJ in an attempt to locate a leak within the department. To obtain the necessary warrants, which were personally signed off by Attorney General Eric Holder, the DoJ referred to him in court as a “criminal co-conspirator” with Stephen Jin-Woo Kim (Rosen’s source who disclosed that North Korea might test a nuclear bomb). The whistle-blower Bradley (or Breanna) Manning, who was responsible for leaking a panoply of classified documents to Wikileaks in 2010 (now known as the Afghan-Iraq war logs) that demonstrated systemic abuses of human rights by US forces, is now facing charges which could lead to 22 years in prison. 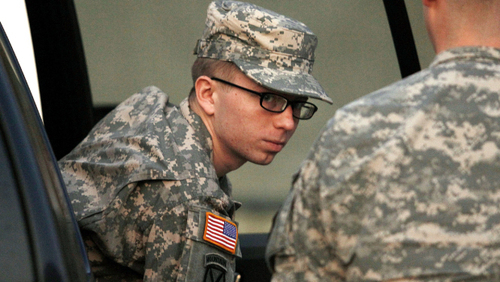 For nine months in 2010/2011 Manning was held in solitary confinement in a windowless cell for 23 hours a day, which a UN Special Rapporteur on Torture described as “cruel, inhuman and degrading.” The Obama administration has clearly decided that the trade-off of bad publicity is worth it to demonstrate to potential whistle-blowers the future which awaits them if they are caught.